Originally scheduled as the first game a doubleheader, Penn and Dartmouth pieced together a historic 21 inning contest that lasted for six hours and 22 minutes. It was the longest in Ivy League history and one of 11 games in Division I history to last at least 21 innings. Thankfully for the Quakers, they came out on the winning side. knocking off the Big Green 21-15. Penn's 30 hits were the most in a single game in program history while the two teams combined to set the NCAA record for plate appearances (206), and most at-bats (176) in a single game. The two teams also tied the NCAA record for plate appearances by a single team in a game with 103 each. Penn's Peter Matt and Craig Larsen set the NCAA record for most at-bats in a single game with 12 each. Five Quakers had four or more hits. Craig Larsen paced the offense with five. Peter Matt, Chris Adams, Josh Hood, and Tommy Courtney had four, while Matt O'Neill had three. Five Penn players drove in multiple RBIs with Larsen leading the way with five. 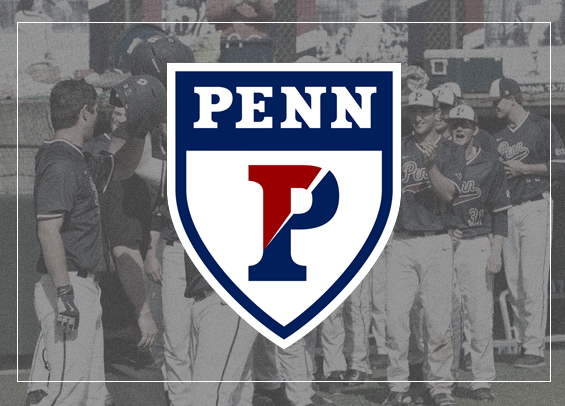 Larsen hit a grand slam for Penn, while Hood contributed with a three-run blast in the 13th. Ahead 10-7 entering the ninth, Penn surrendered three runs allowing the game to go into extras. The Quakers then scored three runs in the 13th via a Hood RBI-double and an O'Neill two-run triple, but the Big Green again battled back scoring three runs in the bottom of the frame to extend the contest. The Quakers offense then exploded in the 21st, erupting for eight runs with Hood delivering a three-run blast to highlight the frame. O'Neill drew five walks on the day, most by a Penn player in program history. Josh Sidney tossed six scoreless innings in relief for the Quakers. Penn has now collected 20 or more hits in four of their last five games and have scored 20 runs in back-to-back games. Cabrini swept a doubleheader from Neumann, improving to 19-6 on the season. Kyran Weemaels tossed a complete-game in game two, surrendering two runs on seven hits. He struck out seven.